Rose I. (Rouleau) Charest, 91, of New Britain, died Saturday, Oct. 27, 2018, at Autumn Lake Health Care. Born in New Britain, the daughter of the late Eugene and Leona (LaPrise) Charest, she lived most of her life in New Britain. She was the widow of Eugene A. Charest. A longtime communicant of St. Jerome Church, she had retired from Precision Dynamics after 16 years. 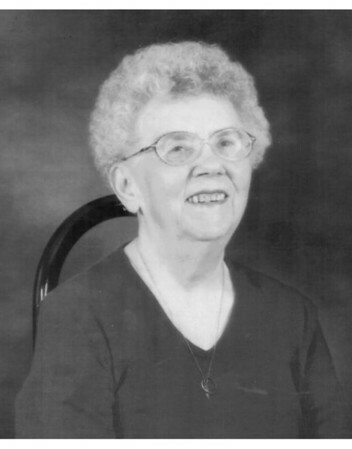 Mrs. Charest is survived by three daughters, Laura Lavertue of Bristol, Theresa Charest of New Britain and Gloria and Martin of Plainville; three sons, Robert and his wife Kathy Charest of New Britain, Richard Charest of Plainville and Raymond and his wife Aida Charest of New Britain; several grandchildren and great-grandchildren and several nieces and nephews. She was predeceased by a son, Ronald Charest, and several brothers and sisters. Funeral services will be held Wednesday, Oct. 31, 2018, at 9 a.m. from the Farrell Funeral Home, 110 Franklin Square, New Britain, with a Mass of Christian Burial at 10 a.m. at St. Katharine Drexel Parish (St. Jerome), 1010 Slater Road, New Britain. Burial will follow in Rose Hill Memorial Park, 580 Elm St., Rocky Hill. Visitation will be held Tuesday, Oct. 30, 2018, from 4-7 p.m. at the funeral home. In lieu of flowers, donations may be made to a charity of the donor’s choice. To leave a condolence for the family, please visit www.FarrellFuneralHome.com . Posted in New Britain Herald, on Sunday, 28 October 2018 21:03. Updated: Sunday, 28 October 2018 21:05.